Look no further: We have the best answers on dog GPS implants, dog microchips, differences and how to choose the best option for your dog! All pet parents are concerned about watching over their furry friends. Pets are like family members and we try to keep them safe all the time. 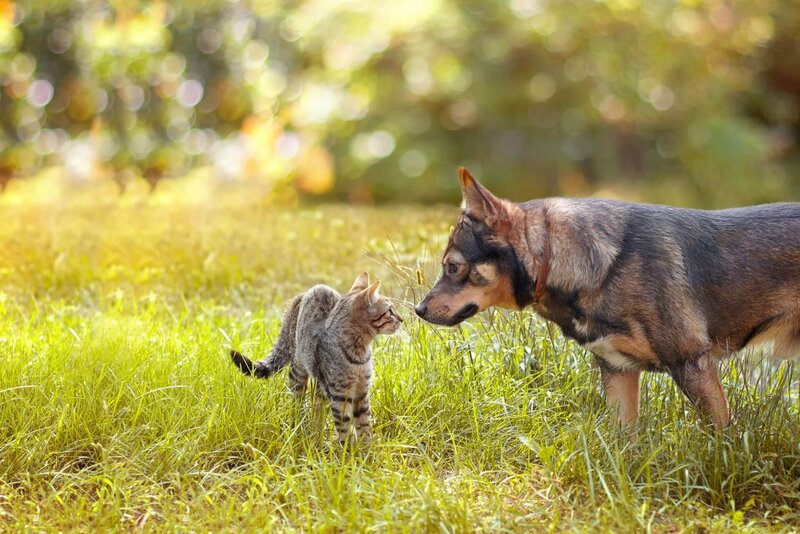 When researching the different ways to do it, one of the most common questions related to pet tracking options is whether your dog needs a GPS tracker or a microchip. Some people often confuse an identification microchip implant with a GPS dog tracking device. So you might ask yourself: What are GPS trackers? Are dog GPS implants really possible? Is the microchip that your vet implants in your dog a GPS locator? Since we are pet tech nerds ourselves, we will clarify these topics (and the myths) for you now – read on! It’s NOT POSSIBLE to implant a GPS tracker in your dog (at least not for civil use). Size of GPS tracker: The main reason is the size of the GPS tracker, since even the smallest size available in the pet industry is far too big to be implanted under the skin of a dog or cat. This overview of characteristics of GPS trackers provides you more details on this topic. Battery: Most GPS trackers come with an integrated battery, which needs to be charged every now and then (depending on use) and it is the component which takes up the most space inside the tracker. There is also no way to charge the battery, if the tracker is implanted under your dog’s skin. Moreover, implanting a lithium-ion battery inside your puppy would likely come with certain health risks as well. Technically, there may be a way to integrate the tracker inside your furry buddy – but considering the points above, this is far from a “smart solution”. There are surely additional reasons why implanting a dog GPS tracker under your dog’s skin is neither a pet-friendly nor healthy way to keep your pet safe. 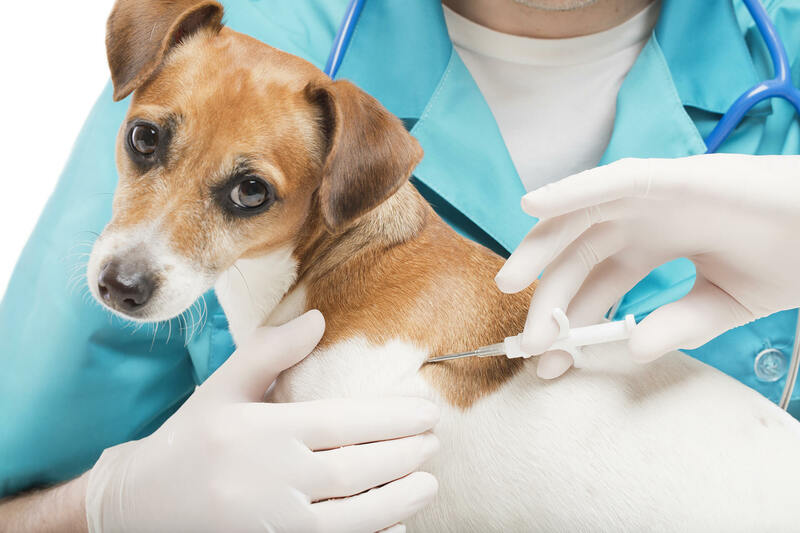 Microchips are ID chips which are implanted between the shoulders of your pet by a veterinarian. At about 11-14 mm long and 2-2.2 mm thick, most microchips for dogs are no larger than a grain of rice and can therefore be safely implanted under the skin. Good to know: Microchips for dogs are not equipped with a GPS function. This is the main disadvantage of dog microchips, since they cannot help you find your dog if he gets lost or runs away. While dog microchips are useful and also mandatory in over 75 countries, they are limited in their use. The only possible way to make use of a microchip is for someone to find your dog, bring him to a vet and read the scanner tag. This dependency on a microchip reader is not optimal, when trying to act fast in finding your beloved furry friend. It’s another common misconception that implantable microchips and GPS trackers for dogs do basically the same thing. This cannot be farther from the truth – let’s take a closer look. Dog microchips are used as a form of identification and they can be easily implanted in your dog by the local vet. They are only useful when you also register the pet ID with your contact information (name, address, telephone number) and keep that information up to date. Later, vets and some shelters can make use of a special scanner in an attempt to read the 15-digit ID microchip and identify the owners of found pets. Nevertheless, your dog first needs to be found, captured and then brought to a vet – often by a stranger. If this doesn’t happen or if there is no microchip scanner available, then a microchip will be of little use in retrieving your pet. The fact is: While you are on the search for your missing dog, the microchip for dogs is of no help. Tracking devices like the Tractive GPS Tracker, on the other hand, give you the possibility to track your dog in real time. This means that dog GPS trackers give you the power to act immediately in case your precious furry friend gets lost or runs away. These helpful features make dog GPS trackers real life-savers, when it comes to finding your lost pet. Directly connected with an app on your smartphone, the dog GPS tracker will show you the position of your dog in real-time and anywhere in the world. This is highly important, since dogs who run away are often disorientated or scared and may often change their position. Nevertheless, the necessity of having all these features make it impossible for GPS trackers to be of the size of a rice grain, which is so tiny and easy to implant. Fact check: You might think that a Bluetooth tracker could also do the same job. Do you know the differences between a GPS tracker and a Bluetoooth tracker? If you are looking for real-time tracking and precise positioning of your dog anywhere in the world, a GPS tracker is what you need. What are the additional features of the Tractive GPS tracker for dogs? Tracker Sharing: Share the position of your furry buddy with all your friends. Virtual Fence: Should your four-legged friend leave a predefined area, you will get an immediate notification on your smartphone. The dog tracker is attached to a collar or vest with the help of clips. What are the additional features of the Tractive GPS tracker for cats? Built-in breakaway collar: The collar automatically breaks away, as soon as it’s exposed to a specific force, and can be reattached afterwards. Activity monitoring: Always know how active your feline is. The Tractive GPS CAT Tracker is an integrated GPS tracker and collar. For this reason, no extra attachment solutions are needed. Pro-tip: Get a complete overview of the main differences, features, uses and limitations of dog microchips and GPS trackers for dogs in this detailed article on this topic. Like what you’ve read? Don’t leave your friends in the dark, share this blog post with them!